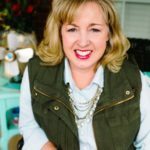 I’m the new women’s ministry leader at my church, and while I’ve done several things to begin the process of assessing the needs of women, no one prepares you for one of your most important “first” assignments—cleaning out the ministry closet. You know the one—various Bible studies that haven’t been touched in years, plastic flowers bought in 1985, along with a variety of tablecloths, napkins, cups, and tea candles. Yesterday I got my first look at my ministry closet, and while tackling the task, the Lord reminded me of some important leadership principles. First, a leader has to take responsibility for keeping things organized. I was pleasantly surprised to find a small closet that was fairly tidy. I could easily identify where things were placed, and because of its size, it was a manageable task. Good leaders need to develop systems and organizations that make sense to anyone. Clarity of vision and processes that are easily followed are leadership principles that translate from one person to the next. Transferable leadership is a skill that makes transitions go smoother, so make an effort to keep your work organized. Second, a leader has to prioritize what stays and what goes. I quickly noticed some Bible studies that are no longer relevant (can someone say VHS? ), hardened paint, and a box of coffee mugs once given at an event. Just as I would do in my closet at home, I made some quick assessments—what should stay, what should be thrown out, and what could be given away. I found several things that I don’t plan to personally use, but they were perfect for our children’s ministry. The coffee mugs? They will be given to women who attend my kick-off meeting next week. The outdated artificial flowers, plastic containers, and dried paint? They quickly went in a large garbage bag. I probably could have cleaned out more, but I was conservative in my approach. Even so, good leaders must constantly evaluate what is relevant in ministry and what needs to change—or even go away. If you can’t take an honest look at your ministry, ask someone else to help you think through next steps. Third, a leader makes it a habit to revisit the first and second points. Keeping the closet cleaned out isn’t a one-time event. It will be a continual process of determining what can stay and what must go. In my last ministry assignment, I had several rows of shelves in a storage area that were in constant need of cleaning. Whenever I had 30 minutes (or longer), I would revisit the shelves and evaluate what could stay and what could be thrown away. In order to keep your ministry running smoothly, don’t finish one project and run to the next before carefully evaluating your processes. What can be improved? How can things be more organized? What needs to stay and what must go? This should be a natural part of your leadership process, and it must be revisited on a consistent basis.